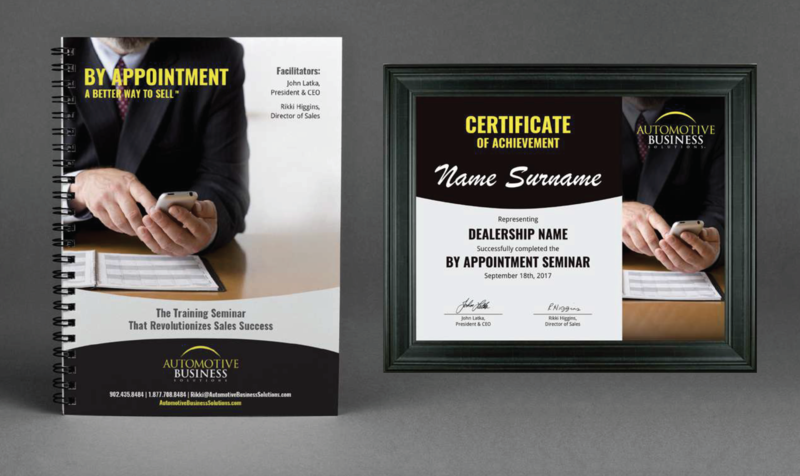 The essence of our By Appointment – a better way to sell™ Seminar is to promote a more professional “by appointment” culture and focus on setting minimum performance standards and requisite steps in setting appointments and generating referrals. Not only do we show attendees how to set more appointments; we share insights into how to improve show rates and increase closing ratios. Maximum value is realized when all sales department related employees attend our sessions. In-House of Off-Site options are available. 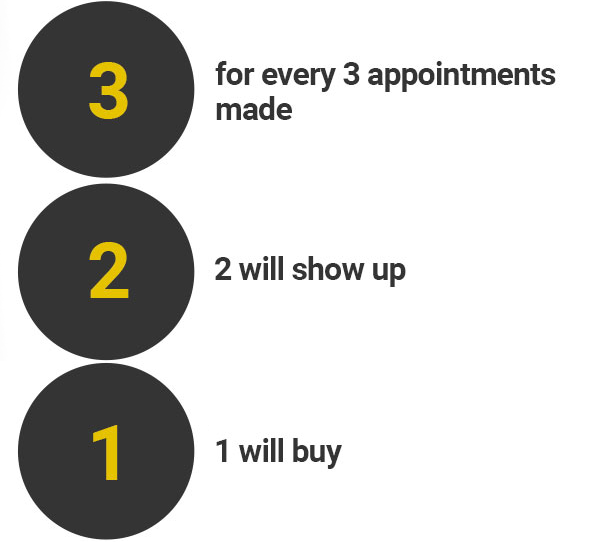 Based on the unassailable ratio of 3:2:1 - for every 3 appointments made, 2 will show and 1 will buy - imagine the increase in sales volume when each sales consultant makes just 3 more appointments per week!